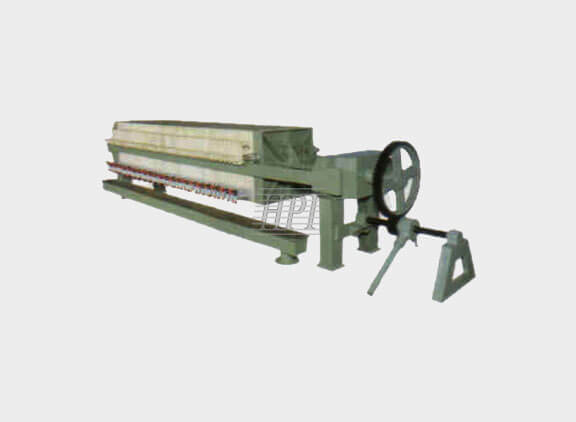 For manual filter presses, we also offer capstan closing mechanism. This type of closing mechanism is recommended up to 470 mm X 470 mm, 610 mm X 610 mm, 800 mm X 800 mm, 1000 mm X 1000 mm size filter press. 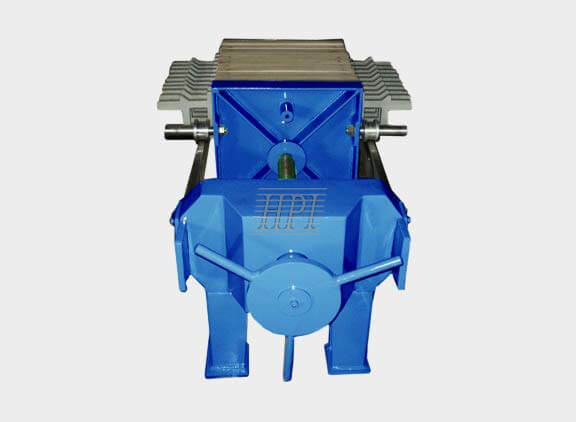 We at Hydro Press Industries offer filter press with ratchet closing device. Ratchet is a type of closing mechanism used in a manual filter press.